Exam rules: You may use only a writing instrument while taking this test. You may not consult any calculators, computers, books, notes, or each other. Procedure: Answer the multiple-choice questions (problems 1 – 10) by marking your answer on the scantron form. For each multiple-choice question (problems 1 – 10), select only one answer. Questions with more than one answer selected will be considered incorrect. Problems 11, 12, and 13 must be answered in the blue exam booklet and need to be well motivated and expressed in terms of the variables used in the problem. You will receive partial credit where appropriate, but only when we can read your solution. Answers that are not motivated will not receive any credit, even if correct. At the end of the exam, you must hand in the blue exam booklet and the scantron form. All items must be clearly labeled with your name and student ID number. If any of these items are missing, we will not grade your exam, and you will receive a score of 0 points. Note: You are not allowed to use a cheat sheet on this exam. Please refer to the formula sheet at the end of this package for important equations. Note: If you do not answer a question in terms of the variables provided, you will not receive credit for that question. Note: You will get 2.5 extra points if you put your student ID correctly on your scantron form. If you skip a line or forget to fill in the appropriate circles you will not receive these extra points. Which of the following is the greatest for concrete? 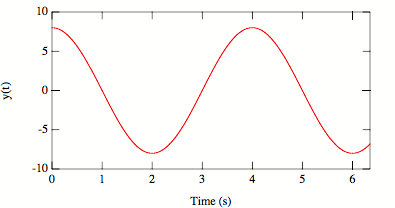 Consider the following graph, showing position versus time for simple harmonic motion. What is the frequency of this motion? Consider simple harmonic motion with amplitude A. At what displacement in x is the energy shared equally between kinetic energy and potential energy? Which of the following graphs could represent the kinetic energy of simple harmonic motion as function of time? A block of mass m, resting on a frictionless surface, is connected to two springs with spring constants k1 and k2. a. Consider the configuration shown in the following figure. Both springs are in their equilibrium (un-stretched) position. The block is now moved a distance x to the right. What is the force that is exerted by the springs on the block (specify direction and magnitude) if the block is held at this position? b. When the block is released, it will carry out simple harmonic motion. What is the period of the motion of the block? c. Consider the configuration shown in the following figure. Both springs are in their equilibrium (un-stretched) position. d. When the block is released, it will carry out simple harmonic motion. What is the period of the motion of the block? Express all your answers in terms of k1, k2, and m.
Consider a trailer of mass M connected to a truck, as shown in the Figure below. The truck and trailer are at rest on a horizontal surface. The hitch at B can be modeled as a pin support. a. Draw a free-body diagram of the trailer. Be sure to include all forces acting on the trailer. b. What is the force exerted by the road on the rear tires? 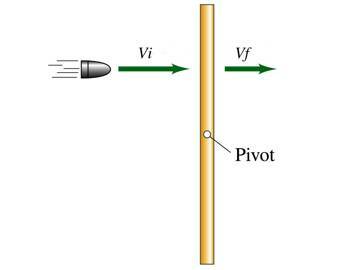 c. What is the force exerted on the trailer by the pin support at B? Express your answers in term of M, a, and b. Express all your answers in terms of m, M, H, and vi.